Hologic technology and instruments are developed with laboratorians, healthcare providers and ultimately, patients in mind. Hologic diagnostic instruments answer the demands of today’s labs with automation, efficiency and flexibility. Hologic wanted to extend the capabilities of their existing Panther® System. Their goal was to provide a provide a fully automated testing platform with true sample-to-result automation, and a consolidated testing menu by adding an in-lab module to their existing Panther instrument. The Panther Fusion® system also features multiple amplification technologies, including PCR capability to their proven TMA technology. Hologic engaged with DDSTUDIO to design and develop the Panther Fusion module addition to Panther system which would be sold as a full system or as a module upgrade to the existing Panther Systems. DDSTUDIO was to design a range of concepts that addressed user needs, marketing objectives, functional requirements, and cost targets, as well as create significant signature elements. Workflow and human factors considerations were also paramount in developing an add-on module that functioned as a single integrated Panther system. The design challenge was to develop a module attachment without it looking like an add-on. The product aesthetic needed to be consistent with the Hologic Panther branding and the form factor in proportion as a full system. 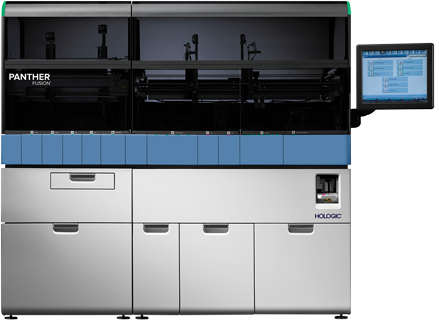 Hologic’s customer required a seamless module installation, minimum training and limited down-time with the smallest possible footprint. The design brief included considerations for installing the upgrade, maintenance and repair, as well as extending the branded signature elements were key to achieving this successful outcome. As a human centered design firm, our process begins with understanding the customer (laboratory) and user (technician) so the design would deliver an optimized workflow with intuitive touch points. We met with customers and technicians in their laboratories to witness how the upgraded module would be integrated into their daily operations. We learned about their pain points of extremely limited space and demands on their time. We understood how this module enhancement would be a powerful addition to their lab offering the benefits of full automation and increased flexibility. Hologic and DDSTUDIO’s multi-disciplined teams explored ideas on how to optimize solutions for the end user’s accessibility and usability with the enhanced testing capabilities. Key ideas are inputs for the designers to sketch, put into CAD and mocked-up for team input and customer feedback. This phase includes time with lab techs, equipment maintenance, installation, and engineering teams to get their opinions on how the concept would operate in practice, as well as engineering for manufacturing. Important design and engineering decisions included developing a machine that could easily be attached to the existing Panther unit without taking up much more space in the lab and consideration for the location of the upgrade on the machine. Placement options were either on the right side of the machine (preferred) or across the front of the machine (not preferred). The exterior housing panels would need to be replaced or modified to accommodate the upgrade. In addition, the system upgrade included internal functionality requirements that would present MTU’s in a manner compatible with the existing internal MTU distributor, while also accommodating to the current MTU packaging. The end result was a right side add on design that allows users to simply and comfortably load MTU’s, as the previous version, containing features to allow for and maintain current service access. 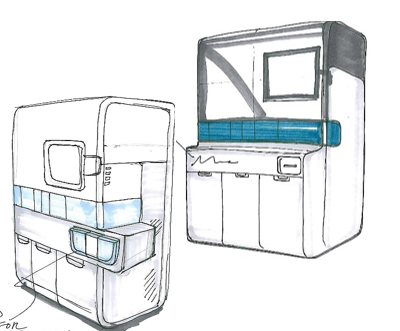 This innovative design enables the labs to improve productivity and accelerate results, ultimately helping to enhance patient care and reduce lab costs. The Panther Fusion system continues to build on the success of the first generation instrument by incorporating customer requests for greater flexibility and walk-away time, with a small footprint. The Panther Fusion module is an in-lab upgrade to the Panther® instrument. 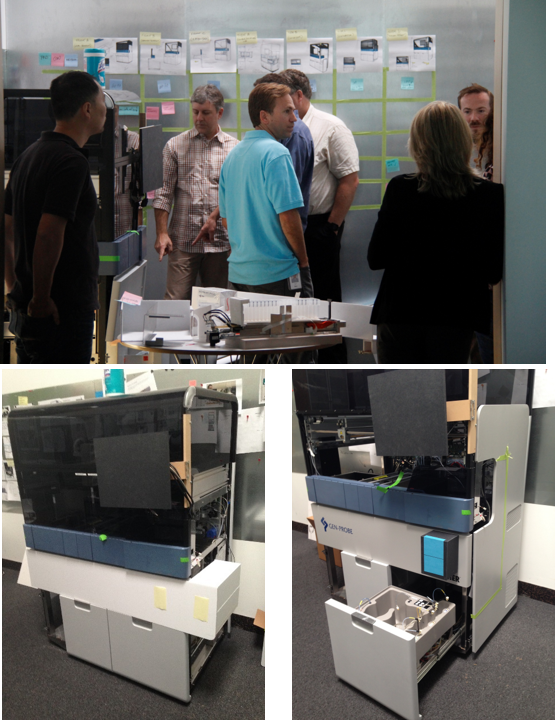 This fully automated random-access system consolidates testing with a growing menu of respiratory, virology, women’s health and STI assays on a single instrument. The Panther Fusion system also features multiple amplification technologies, including PCR capability to their proven TMA technology.